Three Colorado communities made a list of the best 20 areas for tech workers in a new report by a national technology industry association. CompTIA’s report, released Tuesday, ranks the Denver-Lakewood-Aurora area as eighth-best in the country for tech workers based on salaries, job availability and growth and cost of living. The report, “Top 20 Tech Towns,”lists Boulder as No. 19 and Colorado Springs as No. 20. Colorado and North Carolina are the only states with three cities on the list. The Charlotte, N.C.-metro area tops the rankings, followed by Raleigh, N.C., at No. 2. The top 20 cities are spread across 14 states. “The geographic diversity of the index is something we’re very excited to see and demonstrates the positive impact the technology industry is having on regional economies,” Nancy Hammervik, CompTIA’s executive vice president of industry relations, said in a statement. The inclusion of university communities, like Boulder, shows that an abundance of well-educated talent has helped the cities grow into “full-on innovation hubs,” said Spencer Bone, a director of marketing with CompTIA. “This shows IT is a lot more than just coding. Everywhere you look now tech jobs are popping up,” Bone said. The report, the first of what the association plans to be an annual release, comes as the technology industry is experiencing significant growth. The industry expanded by nearly 200,000 jobs in 2017 to an estimated 11.5 million workers, according to the association. Additionally, at $1.6 trillion, the tech sector is one of the largest components in the nation’s economy and is a top-five economic contributor in 22 states. “The idea behind the report is that there are different rankings of different tech towns, but we thought we would bring in a more well-rounded picture. We decided to bring in other factors,” including projected job growth, Spencer said. Making the Top 10 list speaks to the focus the past several years in Denver on helping entrepreneurs get started, scale up and grow, said Deborah Cameron, chief business development officer with the Denver Office of Economic Development. “It also reflects our intentional approach of really cultivating and nurturing the sector,” Cameron said. The inclusion of Colorado Springs on the Top 20 list wasn’t a surprise, said Tammy Fields, chief economic development officer for the Colorado Springs Chamber and Economic Development Corp.
“The IT sector has definitely seen growth over the last 10 years, from software to data centers to cyber-security operations and everything in between,” Fields said. The Denver-Aurora-Lakewood area — Employers posted 50,897 IT jobs between August 2017 and July 2018; the number of jobs is expected to grow another 11 percent the next five years; and the median salary is $90,958. Boulder — Employers posted 5,821 IT jobs between August 2017 and July 2018; the number of jobs is expected to grow 5 percent the next five years; and the median salary is $88,899. Colorado Springs — Employers posted 8,356 IT jobs between August 2017 and July 2018; the number of jobs is expected to grow by 5 percent in the next five years; and the median salary is $90,438. The report notes the cost of living in the Colorado communities ranges from 7 percent to about 15 percent higher the national average, but points to amenities and outdoor lifestyle that have made the state among the fastest-growing. CompTIA compiled job posting data over a 12-month period focusing on 20 metropolitan areas with populations greater than 250,000, where demand for tech workers is greatest. CompTIA then ranked the cities based on cost of living, number of open tech positions, and projected job growth over the next 12 months and the next five years. Home sales aren’t just slumping big in metro Denver, they are dropping across much of Colorado and in what were some of the hottest markets in the country. Existing home sales in the United States fell 3.4 percent in August from September to a seasonally adjusted annual rate of 5.15 million. Year-over-year, they are down 4.1 percent, according to an update Friday from the National Association of Realtors. “A decade’s high mortgage rates are preventing consumers from making quick decisions on home purchases,” Lawrence Yun, chief economist, said in the report. Those national declines look tame compared to what is going on in states like Colorado, Washington and California. Real estate brokerage Redfin, in a different report, estimates that sales in 50 of the 71 largest metros it tracks are now falling. “Last year and earlier this year, Seattle, San Jose and Denver were the hottest markets with homes selling in days, not weeks. These metros have now been replaced by Grand Rapids (Mich.), Omaha, Neb., and Indianapolis as the fastest markets in the country,” noted Daryl Fairweather, Redfin’s chief economist. Last week, the Colorado Association of Realtors reported that the number of single-family home listings sold in Colorado dropped 14.6 percent in September compared to the same month a year earlier. Sales of townhouses and condos dropped 15.2 percent. Metro Denver definitely skews the numbers. Year-over-year single-family home sales in September were down 15.8 percent in Adams County, 17.8 percent in Arapahoe County, 10.3 percent in Boulder County, 11.9 percent in Denver, 16.4 percent in Douglas County and 25.6 percent in Jefferson County, according to the CAR report. But the state’s other metro areas weren’t immune. Single-family home sales fell 26.7 percent in Pueblo County, 17.2 percent in El Paso County and 18.8 percent in Mesa County. Fort Collins and Greeley held up better, with a smaller 4.4-percent drop in Larimer County and 7-percent drop in Weld County. “Sold listings –- down. New listings –- down. Affordability –- down. Inventory supply –- down. Days on market -– down. Interest rates –- up. Median price –- up and down,” said Chris Hardy, a Fort Collins area Realtor, in comments accompanying last week’s report of his home turf. Even the mountain counties are getting caught in the down draft. Home sales fell in Summit, Grand, Routt, Gunnison and San Miguel counties. The picture was more mixed picture in Eagle, Pitkin and La Plata counties. Garfield County, home to Glenwood Springs, represented a rare pocket of strength, with home and condo sales both up more than 5 percent last month. Mortgage rates have escalated recently. The 30-year fixed-rate average, the most popular mortgage product on the market, is nearing 5 percent, according to the latest Freddie Mac data. The last time the 30-year fixed was that high was 2011. Indications are that they will continue to move higher, leaving many homeowners and buyers wondering what rising rates mean for them. I spoke to Craig Strent, CEO of Rockville-based Apex Home Loans, to ask him for some practical advice for anyone considering buying a home or refinancing a mortgage. Our conversation has been edited for clarity and length. Q: Mortgage rates are higher than they’ve been in seven years. Did I miss my chance to get a low rate? Strent: No. Rates are not at historic lows anymore, but they’re still historically low in general. And if you’ve been in your home for a while, you might still be overpaying. When people talk about quote-unquote rates they’re referring to the 30-year fixed, which is essentially the most expensive mortgage you can get. You may not need a 30-year fixed. Rates in general are up, but maybe your rates wouldn't be up. For example, maybe you bought your first home five or six years ago and your family is now expanding and you're thinking about moving in the next three to five years. Well maybe it's time to come out of that 30-year fixed and go into something like a 5/1 [adjustable rate mortgage]. People talk about this word “rates.” But rates typically means the 30-year fixed. Historically the 30-year fixed has been 7, 8, 9 percent depending on the year. Just remember 6 percent was a gift in ’06, 7 percent was awesome in the ‘90s and 9 percent was unimaginably good in the ‘80s. Don’t forget 5 [percent] is not 5 [percent]. The rate is not the rate because you’re deducting the interest. So the actual cost is lower. Q: Why are mortgage rates rising? Strent: I’m not an economist but basically the recent jump in rates is because of low unemployment, which is indicative of a strong job market, which is indicative of a strong economy. A strong economy generally results in higher rates. What I often say to people is mortgage rates like small doses of bad economic news. When we get small doses of bad economic news, rates go down. When the economy is roaring, money often comes out of bonds into stocks and rates move in the opposite direction. Last week was a little messy because of the jobs report, the lowest unemployment in 49 years, and rates really did bounce up. It doesn’t always move in lockstep but generally speaking a strong economy means rates will be rising. Q: This is an unfair question because I’m asking you to look into a crystal ball and tell me how high the rates are going to go. Strent: If I knew that. . . . The last time we saw short-term rates rise over a few years, long-term rates [mortgage rates] actually stayed stable. The truth is I’m not going to even try to answer how they’re going to go other than to say macroeconomically as the economy does better, rates tend to rise. Q: All these people have been sitting on the sidelines trying to time their refinance. Did they miss their chance? Strent: Ok, so . . .
Q: You may have already answered this question in your first response. Strent: I did. I don’t think you missed your chance to refinance. If you’ve been in your home for a while and you have not refinanced yet, you could probably still save money by doing so, depending on what your plans for the house are. Q: How can I get the best interest rate for my mortgage? Strent: The first thing I would say to people is that we make our mortgage payments in dollars, not in rates. The question you want to be asking yourself is how can I get the lowest cost for the time in which I’m going to live in the house. A lot of first-time buyers live in the house five to seven years and they take 30-year fixed-rate mortgages. So by definition they’re overpaying because you’re taking a 30-year fixed and that’s the most expensive mortgage. You’re paying a premium. If you’re only using the money for five, seven, eight, nine years, then you just overpaid. You paid for 20 years of fixed-rate protection that you didn’t need, and nobody likes to overpay for anything, particularly a mortgage. I would reposition it to say the lowest cost versus the lowest rate, and then align your mortgage not with the time in which you're going to live in the house but with the time in which you're going to need the mortgage. If you're paying [private mortgage insurance] or you're going to take two loans, you may wind up refinancing when you have some appreciation. Match the mortgage type up for the period in which you need the mortgage. You should tell your readers that right now there are a lot of options. There's five, seven, 10 and 15 ARMs. The 15-year ARM is becoming more and more popular. It is not the 15-year fixed. But [an adjustable rate] mortgage has a rate that cannot change for five, seven, 10 or 15 years. Most 30-year fixed-rate mortgages do not even make it to year 15. A 15/1 ARM, which is a 30-year mortgage with a fixed rate for the first 15 years, with no balloon but it can change after 15 years. Those are typically priced about a quarter-percent better than a 30-year and they're worth looking at. Q: A lot of home buyers are scared of ARMs because of what happened during the housing crisis. How are ARMs today different than the ones back then? Strent: I love this question. The people who got in trouble with ARMs, for the most part, had interest-only ARMs. They weren’t paying any principal. They didn’t have equity. They put zero to very little down and then their home value went the other way. That option no longer exists. You can’t even get in trouble that way if you wanted to. Now, can you get in trouble on an ARM? Sure, you could. But generally speaking people who can get the best types of ARMs generally have some equity in their home. Now the only thing that can be dangerous about an ARM is the rate adjusting to payments you cannot afford. But that should be moot. Because if you said I’m going to live in this house seven years and then I’m moving, I would say let’s get you a 7/1 ARM or even a 10/1 ARM. The rate should be fixed for the entire period of time you live there and you should be done with the mortgage before you even have the adjustment. If you’re worried about ARMs, opt for an ARM where the rate is fixed for a period of time that is longer than you believe you’ll live in the home. Q: Do I need a really good credit score to get a good rate? Strent: This is one of the biggest myths. You don’t need a great score to qualify for a mortgage these days. But the better the score, the better the rate. If I can digress a little, one of the things I wanted to go into is what I think is the biggest myth out there right now, that you need a big down payment. Well, it’s just not true. D.C. Open Doors is a zero-down program. You’ve got FHA at 3½ percent down, and Fannie Mae and Freddie Mac conventional are 3 percent down now. VA is zero down. There are so many programs out there that require very little money down and a lot of these can be done with some damaged credit. Q: How many first-time buyers put down 20 percent? Strent: It’s rare. It’s more like 3 to 10 [percent] down. And what people also need to know is that PMI, private mortgage insurance, has become much more affordable in recent years. [If you put] less than 20 percent down, you have to deal with [PMI] in some way, meaning you either have to take two mortgages or pay a higher rate or pay PMI. But what I would say to your readers is the monthly carrying cost of PMI has decreased. If you’re buying with less than 20 percent down, from a financing standpoint, it’s not as expensive as it used to be. There’s a lot of creative ways to pay PMI these days. It used to be you just paid it monthly. Now you can opt for a higher rate. You can finance it on top of the loan. You could buy it out in a lump sum. You could split the premium. You could pay part of it upfront and in a reduced monthly amount. They’ve gotten really creative with PMI. Credit guidelines have loosened to allow people to get into homes for the first time with smaller down payments, and a little more flexible credit guidelines are currently in existence. Where there is not much change and where it is still pretty tight — and it should be — is debt-to-income ratio, which I would translate as your ability to repay. So, if you’re not putting a lot down and your credit’s good but not excellent and if you can demonstrate your ability to repay, you can get a loan. Q: Will higher mortgage rates help bring down housing prices? Strent: So there are two parts to this. In the short term, it might actually push them higher because those people that have been waiting to buy or been shopping for a while they may feel some pressure to get in before rates go up further. And then you have sort of an influx of offers that could, short term, push values up especially going into the fourth quarter where there’s less inventory that could exacerbate it even more. Longer term, I don't think it's going to have that much pressure in terms of bringing down home prices because we're already short on inventory in general in our region. So I don't really think it's going to have that much of an impact. Rates are only one factor in the decision to buy. Buying because rates are here or there is not the right [decision] if your plans are longer term, meaning you’re going to live there at least five years or more. The proper way to make a buying decision is to do a detailed rent-versus-own analysis and see what the cost of renting for you is over time versus the cost of homeownership. Every single one of your readers who is thinking about buying should have a rent-versus-own analysis specific to them, their income, their tax bracket, their plan, because there’s no broad answer for everybody. Investments are inherently risky - real estate in particular. The subprime mortgage crisis was barely a decade ago and it played a large role in a devastating recession. Is real estate a good investment today? As with any potential investment, doing thorough research and examining all your options is crucial. One of the causes of the subprime mortgage crisis was predatory loan companies taking advantage of vulnerable homebuyers. Understand the risks and avoid working with lenders and companies that use questionable practices. Investing in real estate isn't for everyone. If you're willing to dip your toes in the water, your first step is to weigh whether you want to invest by buying property, or without buying property. For many of the methods of investing in real estate, you'll need to have money saved. That's especially true if you are going to buy actual property. If you have that money ready, buying property is the most direct and hands-on way to invest in real estate. But purchasing a house involves quite a bit more than simply holding onto it. Here are seven ways to invest in real estate that involve a purchase of actual property. Flipping a house like you're on HGTV is as hands-on as you can get for an investment. You buy the property, you put funds into fixing it up, and sell it for a profit. Ideally, anyway. Fixing a home requires funds beyond the initial investment, and more time than you might have. It's a process, and one that requires a solid knowledge of real estate and home improvement. Even profitable flips can seem like money losers for a long time. Patience is crucial if you're going to commit to a fixer-upper. Rent-to-own is a tactic where you sign a contract to rent a home for a predetermined period of time with the option to purchase the home once that time expires. Often, that option is a requirement, a promise that you will be buying the home. A percentage of your monthly rent payments go toward the down payment on a mortgage when the purchase becomes official. Rent-to-own agreements come with risks, but they're good for people who cannot currently commit to buying a home. This gives people with other loans (credit card debt, hospital bills, etc.) time to pay those off without the added financial burden of a monthly mortgage. Comb through the rent-to-own contract carefully to make sure the details are in your favor, and it has the potential to help you ease your way into an investment. This can mean a few different things. In theory, if you have the money you could purchase an entire rental property and rent out any room or apartment to tenants. Keep your expenses low so you can keep rent affordable to entice prospective tenants. You also could purchase property that you live in, while renting out other rooms in the property. Either way, you're the landlord. Be a good one, and you'll be in a much better position to succeed on this investment. Keep the property in great condition, be readily available to your tenants when needed, and if necessary hire someone who can help with repairs. Vacation property means renting out to tenants for shorter periods. Maintain a good house in the right area, and you may be able to make the same money off a few vacation tenants that you might make from a year-round tenant elsewhere. Vacation rentals, because they are so often in a desirable area, can be expensive both to buy and maintain. Who wants to rent out a pigsty for their vacation? Weigh the pros and cons carefully. If you do it right - research carefully and consult with good Realtors - a beach rental can be lucrative come summer. Airbnb has become a popular way for some property owners to supplement their income. Why not incorporate it into your own investment? How Airbnb works: Register your house on the app, specify the type of lodging you're offering (you can offer a room or the entire property), how many people it can accommodate and its availability. You also get to approve the guests staying at your property. Airbnb can be a good choice in certain areas. Desirable vacation destination? Close to a music festival? Nice apartment in a popular city? You may be able to make a decent profit using Airbnb. If it's a property you own but don't reside in, the added availability can help out a lot. Commercial property - retail buildings or office buildings - is an intriguing option for those who want to invest in real estate beyond just residential property. It's costlier, and you may want to look for partners in this investment. As owner or part-owner of the property you can rent it out to businesses in need of space. It is high-risk, high-reward real-estate investing. Income made from renting space to businesses is generally higher than that from residents, and often the contracts to lease commercial buildings are longer than residential ones. Yes, if you bought a house and now live in it, congrats. You're a real-estate investor! Rather than buying a house specifically to flip it, buying and holding can sometimes be incidental to why you actually bought the house: to live there. But consistently paying your mortgage and doing general upkeep for the house to make improvements can up the value of your home should you one day look for a new place to live. Treat your house like a long-term investment, and it could pay off down the line. If buying property is too expensive of an investment for you, it's not only way you can add real estate to your investment portfolio. There are plenty of ways to have a stake in the real-estate game. Here are 10 ways you can invest in real estate without actually having to buy any property. A REIT, or real estate investment trust, is a company that either owns or finances real estate that produces income. REITs invest the majority of their money into real estate, and it's how they make the majority of their income. There are REITs that focus on both residential and commercial property. Most REITs are equity REITs, but some trade in mortgages instead of actual properties. Perhaps most important for you, the investor, is that at least 90% of the taxable income it pays is via dividends to the shareholders. So researching thriving REITs and purchasing shares in them has potential as a profitable investment. Real estate mutual funds differ somewhat from REITs. Whereas a REIT is an actual company, mutual funds are simply investments pooled together and overseen by an investment manager. A mutual fund allows investors to have diversified their portfolio both in terms of having a mutual fund and having real estate. Like with other sorts of mutual funds, you can choose ones that are growth-oriented or income-oriented. As a diversified asset, they are designed with the intention of mitigating risk, but they are still vulnerable to the risks inherent in real estate. If a real estate-related risk negatively affects one of the investments in the fund, it's likely to impact a lot of others too. In addition to REITs, there are REIT ETFs, or exchange-traded funds. REITs invest in real estate; REIT ETFs invest in REITs. For example, the Vanguard Real Estate ETF (VNQ) includes some of the most notable REITs within its fund, like Simon Property Group (SPG) and Prologis (PLD) . It could be less risky than investing directly in a REIT, and certainly less risky than actually buying property, but you'll also be getting less of a return back. Still, if risk is one of your biggest concerns when mulling a real estate investment, a REIT ETF is something that should be considered. Wholesaling real estate is a little similar to flipping homes, but you don't own the home and you don't have to front any maintenance cost. Wholesaling a house means contracting someone who is looking to sell their house, and quickly taking that contract and selling it to a prospective buyer for a profit, which the wholesaler keeps. No fixing up involved. If you can actually successfully do this, great! There's much less risk as you're not putting your own money into the operation. The difficult part of doing this is actually finding a house that has been undervalued on the market that you can manage to sell for a profit. Much like with other sorts of stocks, there are online platforms that help you make real estate investments as well. Often, these investments you make are part of crowd funding, a way for others to be able to buy property without requiring venture capital. Popular online real estate investment platforms include Fundrise and RealtyShares. This option tends to be more for those with money to spare, considering the costs necessary to purchase large property. Some real estate investments require an exorbitant amount of money. Not everyone can foot that. If you're not the only one involved in the investment, however, it could become more manageable. Partnerships are a common way to invest in real estate, with each person taking over different responsibilities. Often, this can be used as a way to purchase property at a lower price. You can set the terms - such as simply paying the mortgage, or perhaps handling the down payment for the property. Depending on the terms of your partnership, you may be investing in real estate without doing too much hands-on work of owning property. There are plenty of companies that work primarily in the world of real estate that you can invest in. Look beyond REITs for your real estate companies. For example, RE/MAX is a company that sells homes via real estate agents. Companies involved in real estate that don't involve actually buying property can be a way to not only diversify your portfolio, but get a good sense of the current real estate market. Another real estate-related investment that could be worth your time are companies that are involved in the construction of homes. There are plenty of home building companies whose stock trades on the NYSE every day, such as Lennar (LEN) and D.R. Horton (DHI) . It's an intriguing investment option for those who believe that the construction of homes is something that will continue to increase, because if that's true, business should continue to boom. Have you considered employment within the real estate industry? It can not only be an investment of sorts, but prepare you for how the market is doing and when the time is right to make good investments. One job within the industry to consider is a real estate appraiser. An appraiser can specialize in either residential or commercial real estate, and determine the value of a property. They take specifics about both the property and its nearby surroundings into account to do this. According to the U.S. Bureau of Labor Statistics (BLS), the median salary for a real estate appraiser or assessor in May of 2017 was $54,010. Those with the highest salaries, however, could make over $101,000 a year. You could also get into the game of selling real estate. Real estate agents require some education and training before they can actually get out there and flip houses, but successful real estate agents can take home nice commissions on the properties they sell. Agents generally work for real estate brokers, and if you'd rather be at the top than out there selling the homes, perhaps consider opening a brokerage and hiring agents. Brokerages get a large part of the commission that the agents make, so having successful agents can bring in a lot of money. But starting a brokerage isn't simple, and it's incredibly expensive. You need extensive training and licenses to open and maintain one. If you're a successful agent looking for the next step in their real estate career, it could be a great idea. But if you don't have that level of success, knowledge or funding, you may want to start with becoming an agent. A home is the largest asset for most Americans. Not only is it where you live and make memories, tapping into a home’s equity — the difference between what you could sell your house for and the amount you owe on the house — may provide the funds to cover large expenses with reasonable terms. It’s a good time to own Home Depot stock. Or a hardware store. Or a contracting business. America is in the middle of a home renovation bonanza, according to research from Golden-based HomeAdvisor. The average homeowner invested $6,649 in home improvements between March 2017 and March 2018, according to HomeAdvisor’s True Cost survey. That’s up $1,492 over 2017, itself a year in which HomeAdvisor’s annual survey tracked an $1,850 jump in consumer spending on home improvements. The craze is multi-generational. Millennials completed more projects than any other age group, even if they spent 32 percent less on average compared to their baby boomer counterparts. Roughly eight out of every 10 millennial homeowners surveyed said they plan to spend more money on home improvements in 2018-2019 than they did in 2017-2018. Driving the movement to stay put and fix up rather than move out are some issues Colorado home seekers know all too well at this point: A lack of homes for sale (though a recent survey shows inventory growing in the Denver metro area) and correspondingly high costs of available homes, observers say. Of the more than 1,000 homeowners who talked to HomeAdvisor this spring, 84 percent had no plans to move in the next 12 months. That comes despite half of all millennials saying that want to move to bigger or nicer homes. With dozens of possible projects in every home, DiClerico has some recommendation on how homeowners can best invest their hard-earned dough to bump up their home’s value should the time to sell come. The best place to start is the kitchen. Although the 2017-2018 survey found the average kitchen remodel cost $22,145, even a much cheaper update could significantly boost a home’s value. New appliances, counter tops and flooring can be had for a combined $4,000, DiClerico said, and raise a home’s value by thousands of dollars. “A smart, cosmetic kitchen renovation makeover like that could raise a home’s value 5 percent,” he said. For a $367,000 home, the median value in Colorado according to Zillow, that could mean an extra $18,000 and change. Once the new fridge is humming and new kitchen counter tops have been buffed to a glossy shine, the next best way to boost a home’s value is by turning unfinished space into livable space. While he puts the average cost of finishing a basement at around $7,500, again DiClerico says a more thrifty remodeling project can have a significant impact on value. Start with upgrading the lighting if the basement is in decent shape already, DiClerico said. “Depending on the current condition of the space, if it doesn’t need to be fully redone, you could be in and out for a couple of thousand dollars,” DiClerico said. When it comes to what sells a house, if it’s not the kitchen, it’s the bathrooms. It’s another area where the average renovation can be pricey — $9,742, according to the True Cost report — but a budget project can have an impact. Investing $2,500 in re-lining a shower or tub, updating the faucet and sink and installing new tile could provide a 2- to 3-percent boost in total home value, DiClerico said. When it comes to doing something on the cheap or going whole hog, there is a judgement call to be made. DiClerico noted that a high-dollar kitchen renovation largely becomes sunk cost. 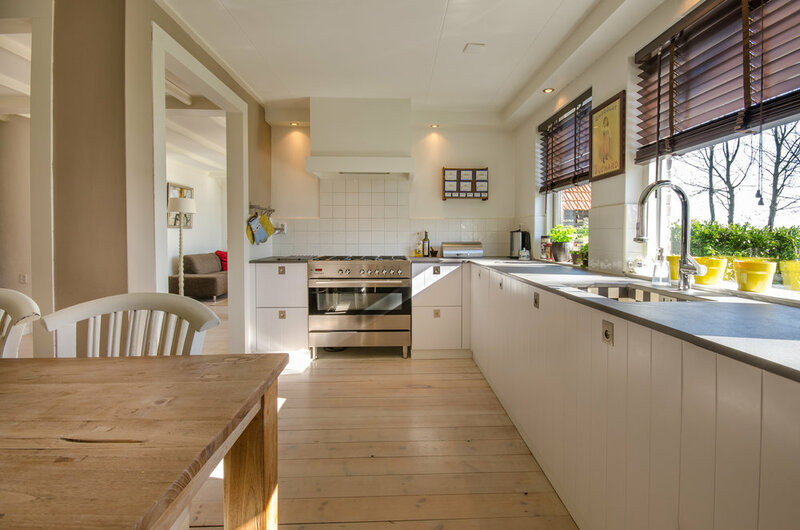 Homeowners who invest $25,000 in their kitchens will not get all that money back at sale time, but if they’re in a home they love and plan to stay in long term, the focus shifts to the enjoyment they get out of the finished product. At a time when home supply is lagging thousands of units short of demand in metro Denver, the home improvement industry isn’t just staying busy, it’s going bigger. The Finished Basement Company handled design and project management services for more than 100 complex renovation projects in the Denver area last year, Condon said. For many people it comes down to loving the area where they live. He put the average cost of a whole-home overhaul between $150,000 to $250,000. Moving into a new home can cost upwards of $50,000 on its own, he added. In Jefferson County, homeowner Kim McGrigg is now enjoying the home she bought last summer but could not live in it for the first six months she owned it. McGrigg and her husband bought a home in Genesee for $665,000 knowing it wasn’t exactly what they were after. They worked with the Finished Basement Company and invested $300,0000 in the property, living in an apartment in the meantime. The work included taking the kitchen down to the studs, splitting one large bathroom into two and lots of cosmetic updates. “This was an opportunity for us to say, ‘We’re going to make this our house because we plan to live here for a long time,’ ” McGrigg said. She has some advice for homeowners considering a project of this scale: Be patient. The number of homes on the market surged, the number of sales dropped, and price reductions were abundant last month, all signs that buyers are pulling back in metro Denver, according to the latest market trends report from the Denver Metro Association of Realtors. The inventory of single-family homes and condos available for sale at the end of August rose to 8,228, an increase of 7.65 percent from July and 11.8 percent higher than August 2017. Normally, the inventory barely drops between the two months and the change set a record. Single-family home sales in August dropped 7.46 percent from July, and are down 9.75 percent from the same month a year ago. Condo sales dropped 5 percent for the month and are down 15.6 percent from August 2017. About 30 percent of sellers lowered their listing price in August to entice buyers, Danyliw said. That has created downward pressure in the market. The median price of a single-family home sold in August was $445,000, down 1.1 percent from July and up 8.54 percent from a year ago. The median condo price was $299,000, up 0.89 percent from July and 9.05 percent from August 2017. The number of days it took to sell a condo rose to 20 in August, up from 18 in July, while the number of days a single-family home took to sell rose to 23 from 21. While higher, both still reflect a fast pace of sales. Danyliw pointed to several signs that buyers are pushing back more — fewer multiple offers on properties, fewer inspection allowances and fewer appraisal guarantees. That said, homes that are priced correctly and move-in ready still sell quickly.